Sant Jordi (Saint George) is the patron saint of Catalonia, and although his saint's day (April 23) isn't a public holiday, it's always a celebration. Don't expect saints clutching swords or dragons dripping blood: it's a day for lovers, authors, book signings and rose stalls. Tradition dictates a rose for her and a book for him. But nowadays the rules are more flexible – women like to read too! Getting your hands on a rose couldn't be easier. In fact it's hard to find a corner in the city that hasn't been invaded by impromptu stalls. Book-givers are in luck too as there are nearly as many book stalls as rose sellers, with discounts and signing sessions by local and international authors in the temporary marquees that line the main streets. Sant Jordi is one of the favourite festivals for locals. The new spring sunshine is here and everyone takes a break from the workday for a stroll among the flowers and books. But during this special day, there are also loads of other activities on. 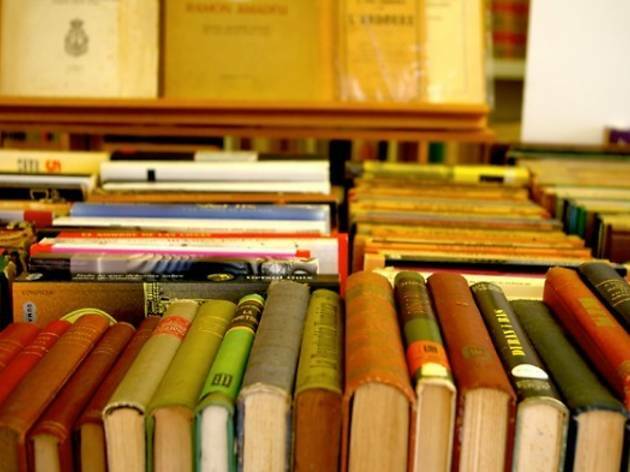 You can find book-exchange markets, concerts, poetry recitals, artesanal book fairs and more. 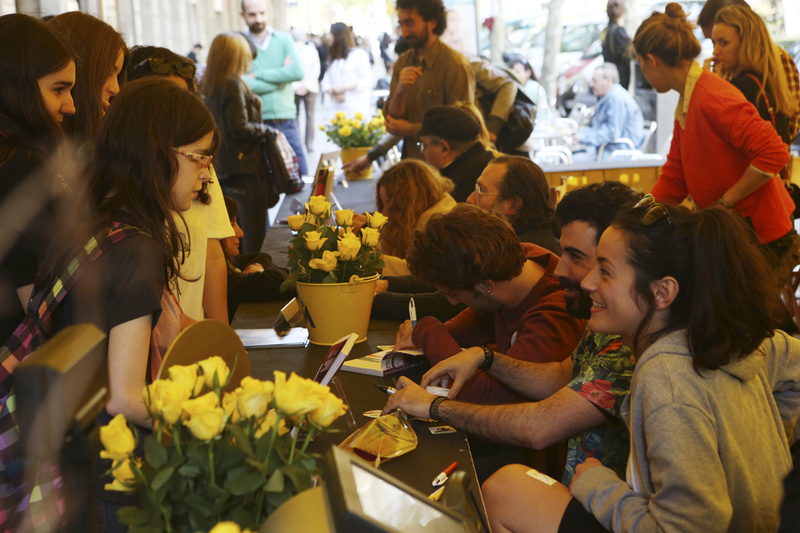 Get the most out of Sant Jordi, whether it's your first or your twenty-first! On Sant Jordi Day (April 23), you'll find a few institutions in the city celebrating with their doors open. 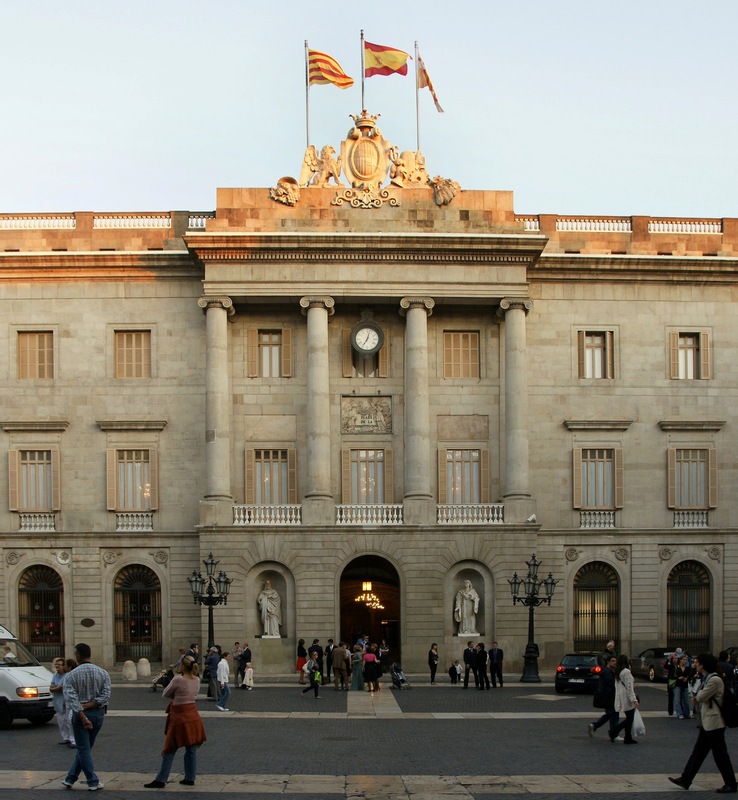 One is the Ajuntament de Barcelona (City Hall). You can visit the Escala d'Honor, the Galeria Gòtica and the building's centrepiece (and oldest part), the famous Saló de Cent, accompanied by figures from local history. Coinciding with the Open Day, the Ajuntament will once again sell roses to benefit local charities in their patio area from 10am to 8pm. The proceeds go entirely to not-for-profit organisations. 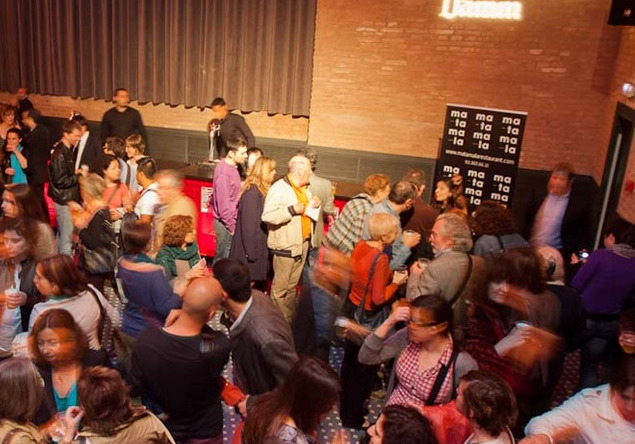 From 11am to 8pm, the Palau Savassona, home to the Ateneu Barcelonés, also opens its doors. Visit the library, garden, discussion rooms... and participate in the activities they'll have lined up. 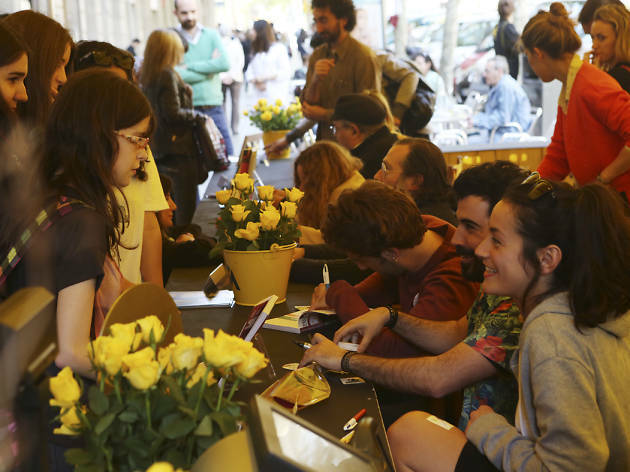 In addition, if you become a member of the Ateneu the week of Sant Jordi, they'll waive the sign-up fee. 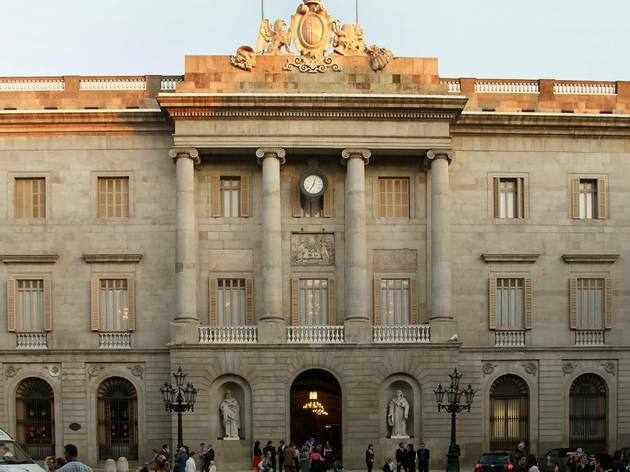 And if you're around Montjuïc, the Museu d'Arqueologia de Catalunya is also taking part in the Open Day, and you can get in for free from 9.30am to 7pm. To celebrate Catalonia's patron saint, the Antiga Fábrica Damm fills up with music with a bill boasting 14 concerts that will showcase today's Catalan pop and rock. Among the perfomers will be revered bands such as Cris Juanico and Sidonie; up-and-comers like Núria Graham, who will present her highly recommended new album, 'Bird Eyes'; big draws like Blaumut; soul from The Excitements; pop with a folk accent from Ferran Palau, with songs from his 'Santa Ferida'; as well as Senior i el Cor Brutal, Qu4rt Primera, Anna Roig i l'Ombe de Ton Chien, Mi Capitán, Guillem Roma, Èric Vinaixa and Joan Rovira, many of whom have new albums out.During the festival, starting at noon, lots of musicians will be at the old beer factory ready to sign albums and books, including Santi Balmes, David Carabén, Joan Miquel Oliver, Sisa, Pau Riba and Xarim Aresté. Space is limited, so be sure to give yourself plenty of time. Everything's coming up roses for Sant Jordi Day at the Fábrica Moritz Barcelona, from the M-Store to the Triticum bakery. On April 23 they'll set up their tent on the terrace where more than 50 authors will come and go from noon to 9pm. 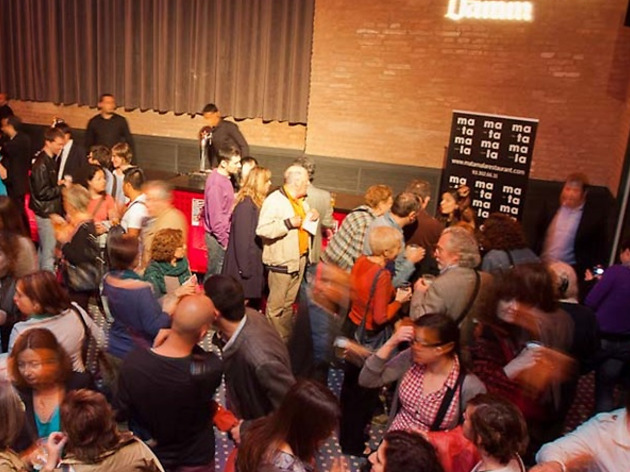 They'll also be bringing back something else from last year besides the book sales and signings in the form of 'Un llibre i una rossa' – that is, for every book you purchase, they'll give you a free draft beer. The word play of 'rosa' (rose) and 'rossa' (blonde ale) doesn't quite translate, but the beer goes down just the same. What's more, from April 17 to 22, you'll get 5 percent off in the M-Store, and on the 23rd, 10 percent off. 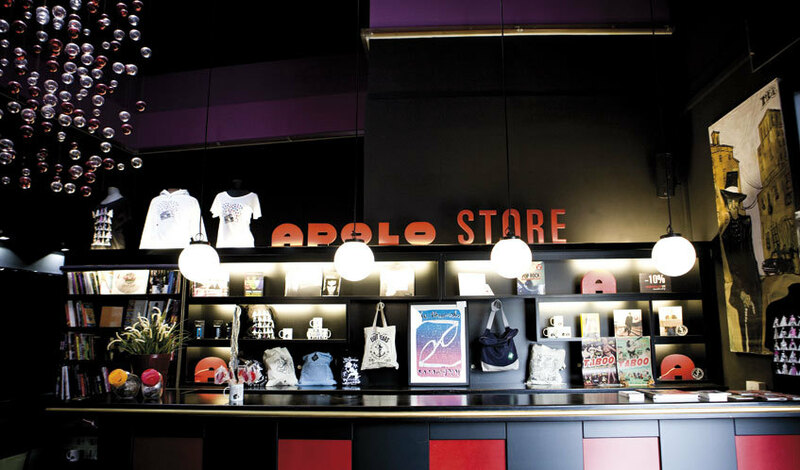 So what else do you need to complete the Sant Jordi package? Well, the rose. If you're looking for originality, at the M-Store and the Fábrica Moritz you'll find yellow roses for sale. And for those into the treats the day brings, you can get Sant Jordi bread at Triticum. The special bread is baked with 'sobrasada' spicy sausage, cheese and walnuts. 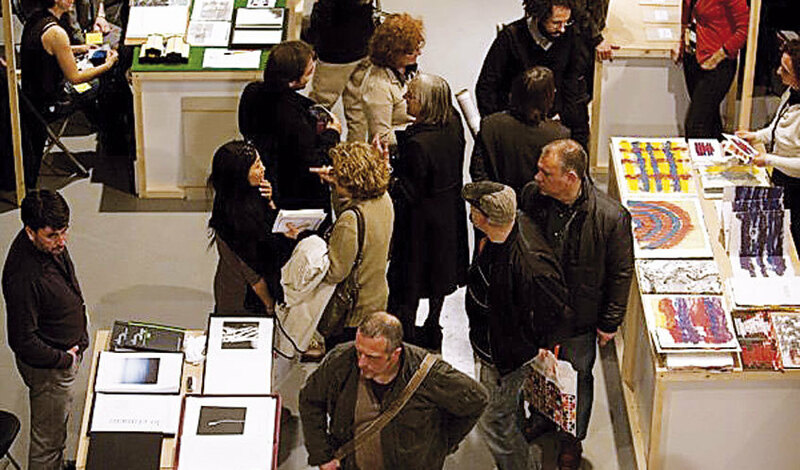 Various professionals and aficionados, producers and collectors of books are in Barcelona with the aim of promoting and disseminating the publication of books in the worlds of art and graphic experimentation. What they have in common is a passion for the book. 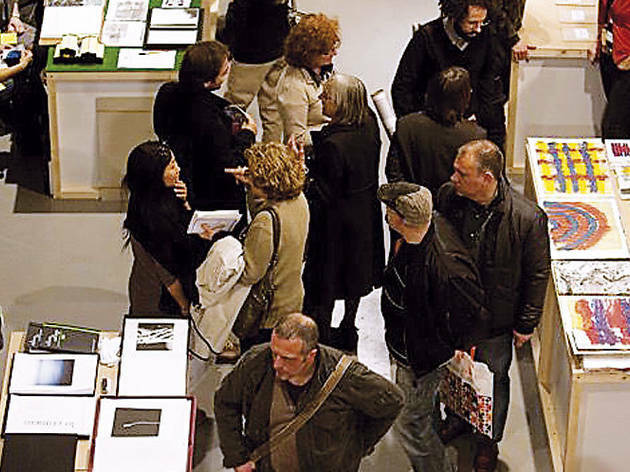 The Barcelona International Fair of Books and Art, Photography and Design Publications has got something new this year: to support new projects, they'll publish the first artesanal book that will mark the start of a series called Series AL. Mexican writer Iñaki Bonillas will be the author of the first in the series. There's also an exhibition showing the photographic work of actress Jessica Lange and another on international artesanal books. On April 23, Sant Jordi Day, admission is free. 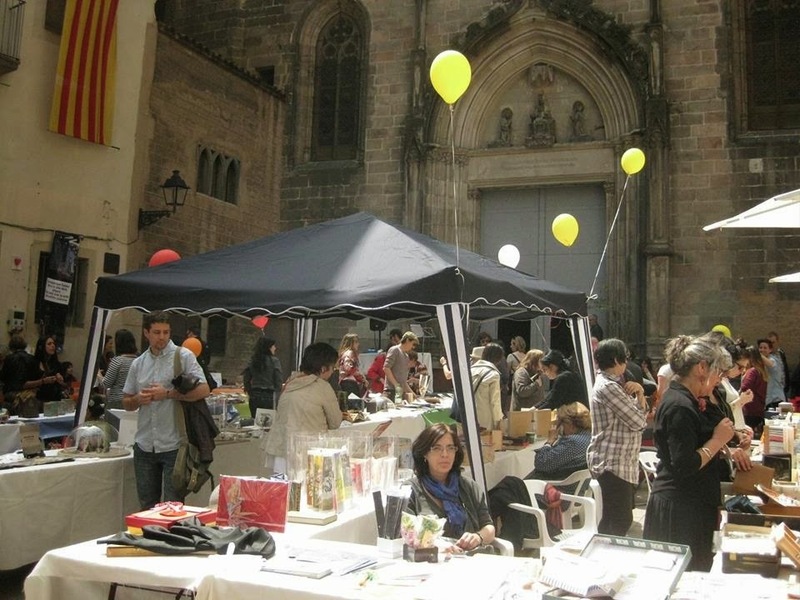 On the feast day of Sant Jordi, Plaça de Sant Just is converted into Plaça dels Llibres Imaginats (Imagined Books Square) to host the eighth edition of the Festival de Llibre d'Artista i la Petita Edició. The festival selects artisanal books, books published in short runs, that are hand-printed and one-of-a-kind, previously unreleased editions by national authors but also by those from other countries, including Italy, Germany, France, the USA and Poland. Throughout the day you can not only admire these books made of diverse materials and in various forms presented to the public for the first time, but you can also chat directly with their authors. 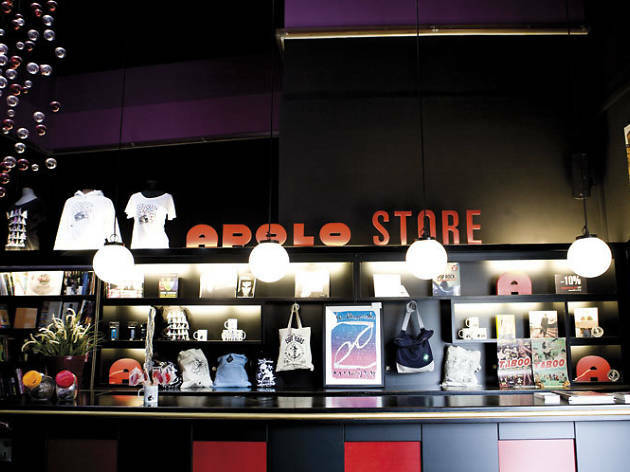 The Apolo Store is also celebrating Sant Jordi Day with performances, book signings and more activities. 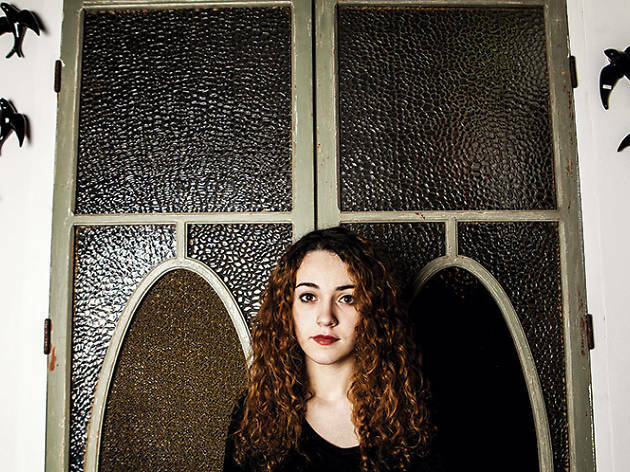 El Pèsol Ferèstec (a band whose name translates to The Wild Pea) will recite from, sing and present their album 'Cor de Carn'; Maria Rodés presents her book 'Duermevela' and will perform some songs unplugged. 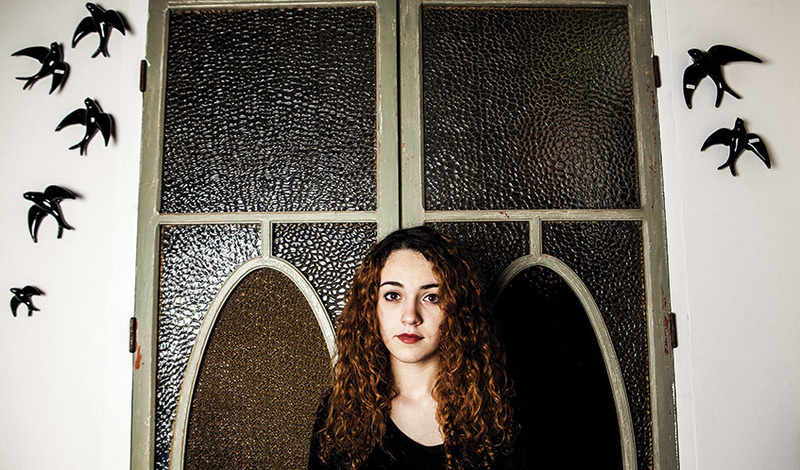 You can also see Valentí (a collective featuring actress Victòria Alvelo, Adrià González and Roger Palacín), whose repertoire will be adapted to literature. All this under the watchful eyes of The Electric Cabaret radio, who will rebroadcast the live programme and chat with some of the guests. 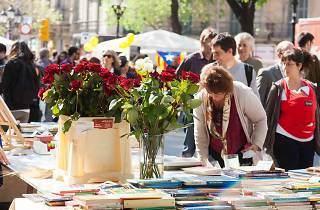 Sant Jordi also brings with it temporary spaces for book exchanges. These improvised markets are organised in many of Barcelona's civic centres and libraries, and you'll find one in nearly every district in the city. 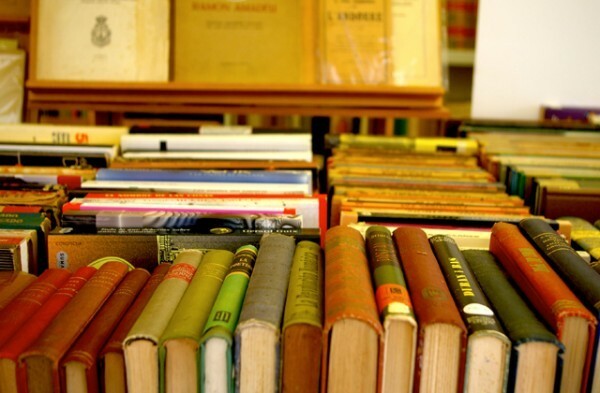 Look for book-exchange markets in the Trinitat Vella library, the Can Castelló civic centre, the Riera Blanca civic centre, the Zona Nord library or the Sant Martí de provençals library. You know how it works: come with books you no longer want, and exchange them for ones others have brought. Most will likely be in Catalan or Spanish, giving you the perfect opportunity to learn or brush up on your language skills. However, with so many international residents in Barcelona, you might find just the title you've been looking for in your native tongue. 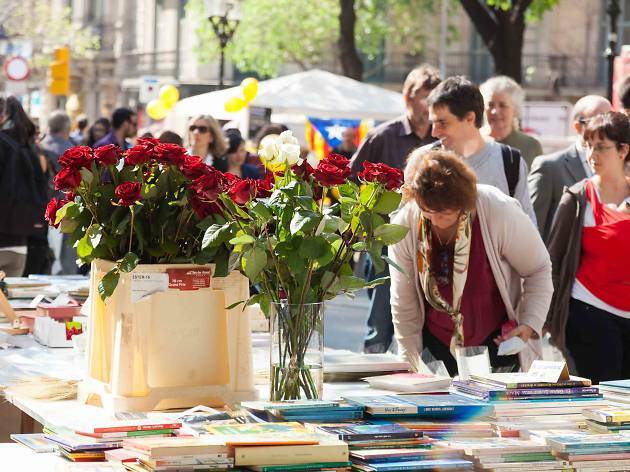 To celebrate their ninth anniversary, Club TR3SC has organised a series of cultural and fun activities, among which is the third edition of the Sant Jordi Book Festival. Maruja Torres, Peyu, Enric Pardo & Lyona, Miguel Noguera, Jordi Nopca, Xavier Bosch & Joan Carreras, Toni de la Torre, Martín Piñol, Sebastià Jovani & Albert Pijuan, Raquel Piñeiro and Amaia Arrazola, will take the stage at the Estrella Damm Antiga Fàbrica with their literary shows, video projections and performances. 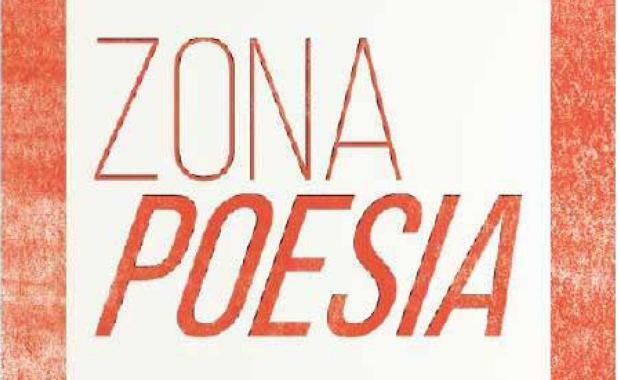 Zonapoesia brings together six independent publishers that publish poetry in Catalan and that, on April 23, will share a stall on Passeig de Gràcia at Diputació. The platform was born to give more visibility to projects big and small that sometimes don't reach the public, as well as to offer live poetry readings while they're at it. 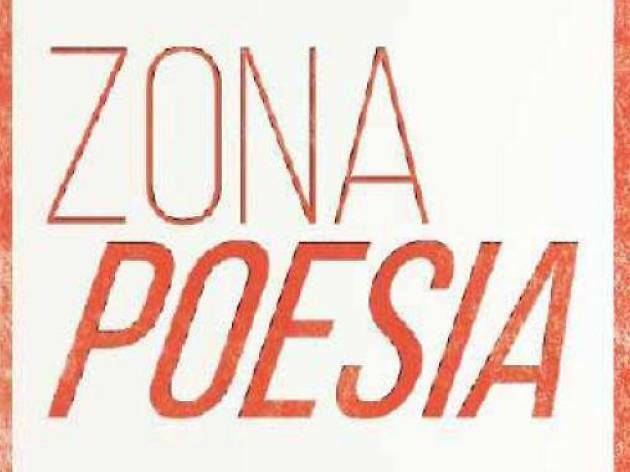 Throughout the whole day, various poets will recite their own works as well as those by others, to all the crowds that fill up Passeig de Gràcia. There will also be poets signing their latest collections.